Xray2go is a portable handheld x-ray generator that uses a high frequency inverter to generate a stable x-ray output with DC high voltage. This effective DC unit enables patient and operator to be exposed to the least amount of radiation. The integrated compact “Camera like” generator increases the user’s confidence and decrease the negative perception patients have about x-rays. 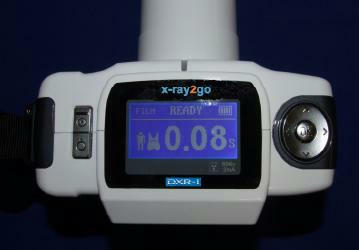 In recent years, handheld x-ray units have entered the market and are rapidly growing in popularity. Many dentists are using the devices not only for field trips, military & public service but also to replace or augment conventional wall-mounted unites in their dental offices.